The Basilica of St. Louis, King of France, has the distinction of being the oldest continuously operating cathedral in the United States. The first church on the site was built in 1718. The third church, built in 1789, was raised to cathedral rank in 1793. 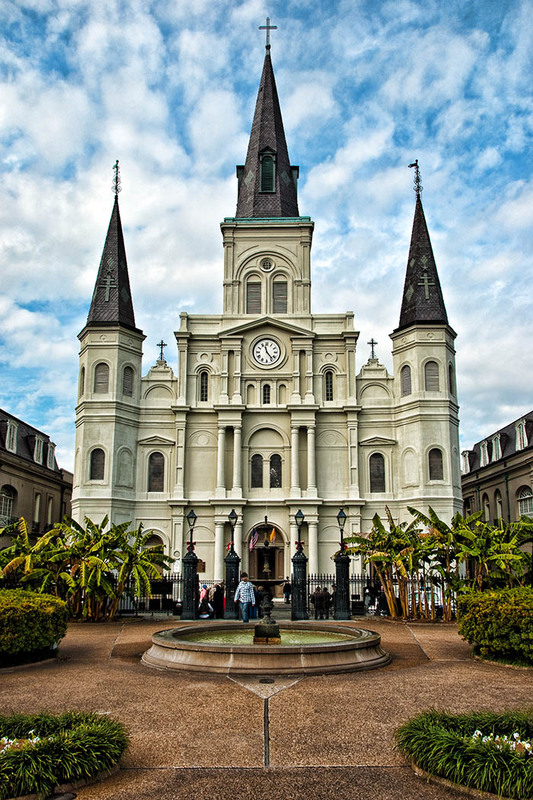 It is in the French Quarter of New Orleans, Louisiana. 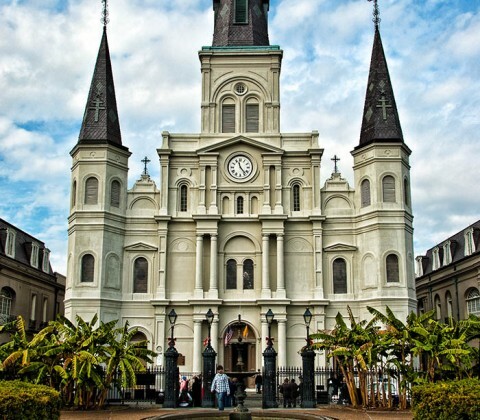 Located next to Jackson Square and facing the Mississippi River, the St. Louis Cathedral is at the heart of New Orleans and is one of its most recognizable landmarks.